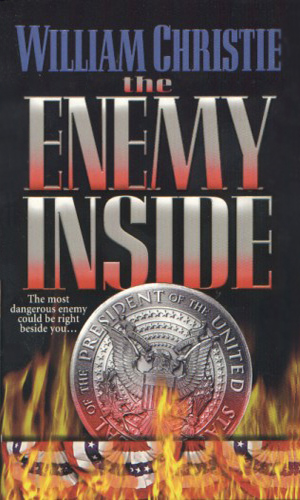 Ed Storey is an agent with the Defense Department. On the record, Storey is a Master Sergeant in the Army Delta Force. He is also the head of a small, elite group called the Special Action Force, Anti-Terrorist Unit, created by the Secretary of Defense comprised of Special Forces soldiers, Intelligence operatives, and technical whizs as a means to slip undetected or undercover into a country, strike or study as needed, and then get out alive. In other words, to perform the duties normally done by the CIA, sometimes in conjunction with them, but under the instruction and authority of the Defense Department. Though not directly affiliated with the Defense Intelligence Agency, it had close connections and liaises with them. Storey is a much decorated man in his mid 30s. He is reported to have been the youngest person to reach the top enlisted rank of Master Sergeant in the Army's history and it wasn't by knowing the right people or attending the right university - it was by doing what was needed when it was needed without fanfare and usually without undue attention. This made him the perfect candidate to lead the Unit. Storey projects an image of a good-ole boy with a down-home accent and often a slow moving style, not through any pretense but just because that is just him. Beneath that exterior, however, is a fast thinking, shrewd operative with a Masters Degree in Psychology earned taking night classes and the ability to think several steps ahead of most people, a useful talent when taking a wrong step will get you killed. 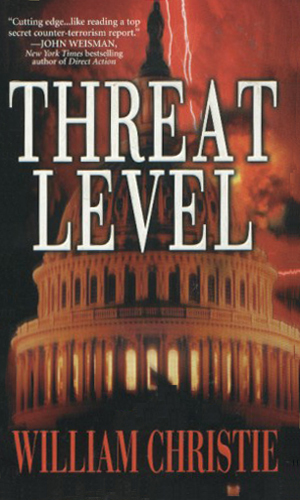 A plot to kill the President is detected prior to his upcoming trip to Asia. As Ed Storey begins his actions to take out the threat, he comes across an even bigger danger, one that could cripple the national defense and leave many thousands dead. The terrorists of Al Qaeda have discovered an easier way into the US from which to launch a major, devastating attack on America just as it is readying for a Presidential election. The way is from South America north through Mexico. Ed Storey and his partner try to plug the hole but are running out of time. Another series that borders between military action adventures and espionage capers, this one really strattles the line and leans more towards the military than I might want for membership into this compendium. However, since intelligence gathering plays such a major role and because the action in the two book series is often just a one or two man operation, I kept it in. As for the writing, it is darned good. Really. The plot is well thought out, the execution top notch, the action exciting, the characters very interesting. In other words, a good series to read. Perhaps we will get more.